Six weirs were removed from River Villestrup, Jutland, Denmark, giving fish access to approximately 14km of free-flowing river. The river is home to a wild population of brown trout (Salmo trutta); a population which has benefitted hugely from these conservation actions over the last few years. 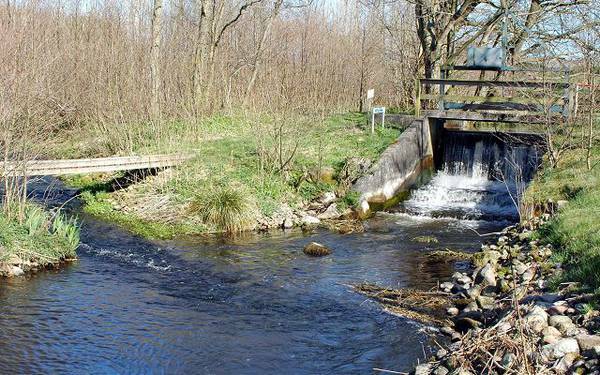 Back in 2004, the restoration project started with initial monitoring of the smolt run in River Villestrup. The river had 8 weirs at that point, mostly associated with fish farms. Between 2005 and 2012, 7 of the 8 weirs were removed, with only the uppermost still in place. 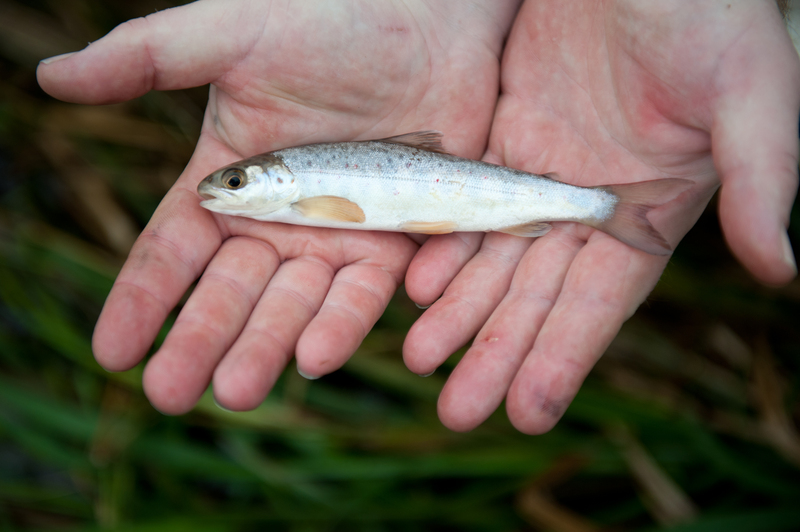 The smolt run was monitored during 5 seasons throughout the project, which ended in 2016 (the last monitoring season). The results of this (near) full river restoration project speak for themselves: from a mere 1660 individuals to 19105 individuals following the removals. In addition, fish were observed to migrate earlier, and were on average smaller following the removals (from approx. 16cm to 13cm on average). This suggests that fish are no longer delayed or ‘stuck’ in impoundments. While these results show the true potential of barrier removal in restoring healthy fish populations, it also clearly demonstrates how small barriers (in this case 0.1 to 1.9m) can have devastating effects on the river ecosystem. These smaller barriers tend to be forgotten or at the very least less talked about because it is assumed that their effects are relative to their size, and thus ‘small’. This is especially important in the case of anadromous species, because they must overcome these barriers upon their downstream migration as smolt, and then repeatedly upon their upstream and downstream migration as adults during spawning. Let us build a better, more sustainable future for rivers by removing unnecessary man-made infrastructure.